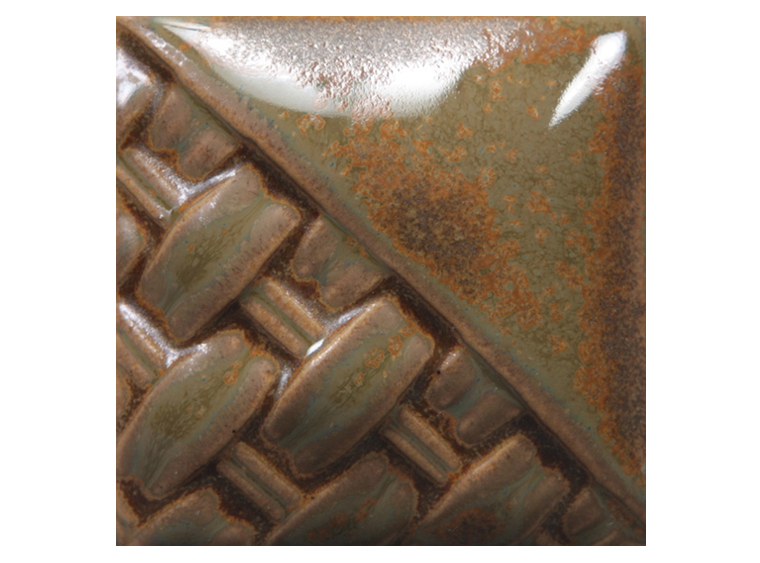 Olivine Stoneware Classic Glaze adds rustic golds and greens to your ceramic work of art! Don't forget to check out this beauty by Mayco! These stoneware glazes move and float without running off your work. Many will break over textures, revealing secondary colors and shades.